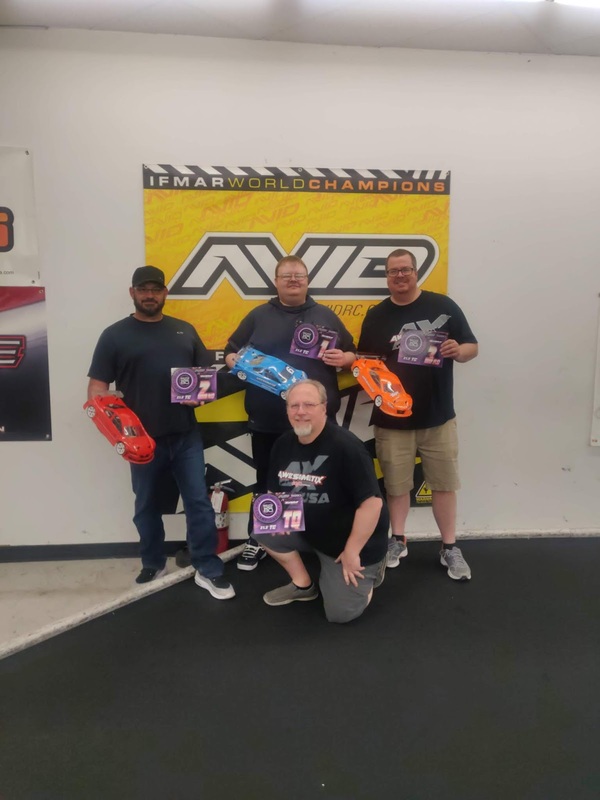 The 2019 Mile High Indoor Championships were held at 5280 Raceway in Denver, Colorado April 12-14. A blizzard leading up to the event caused a slightly lower turnout, but the competition was still tight across all TC classes. 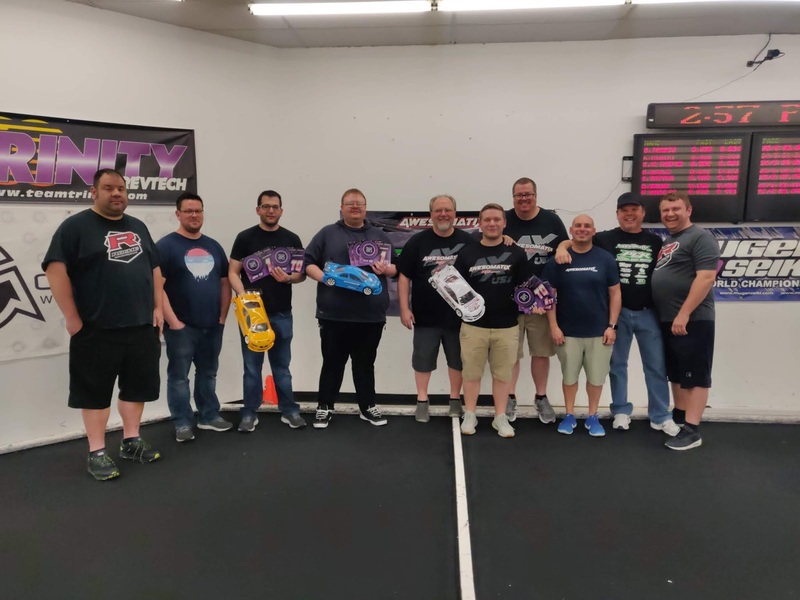 Awesomatix took up TQ honors across the board -- and although the winners changed, Awesomatix swept the wins in all TC Classes. 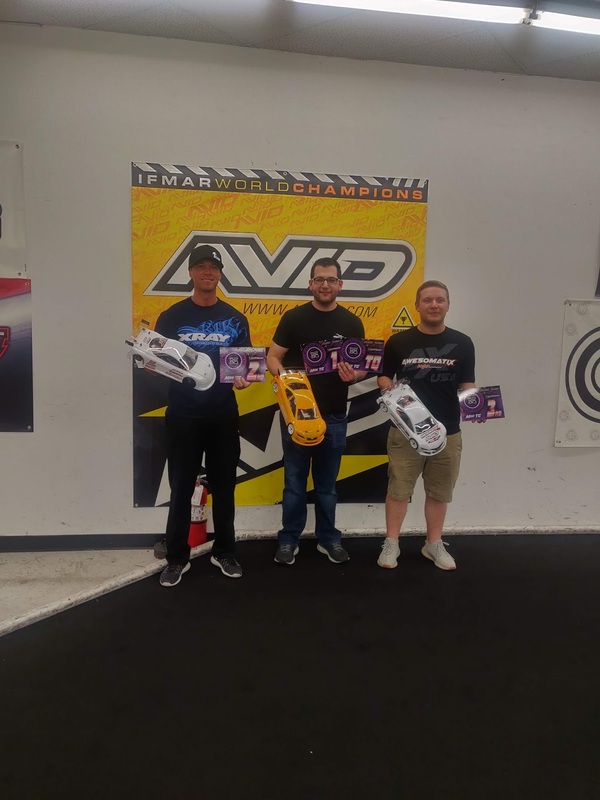 In Modified Touring Sam Isaacs continues his dominance taking TQ over Keven Hébert (XRAY) 2nd and Kyle Klingforth. In the main Sam, Keven and Kyle would break out into the lead followed by Ralph Burch (Serpent) and Art. Sam would stretch the lead and Keven and Kyle would battle out for the next 4m straight to only end up where they started. 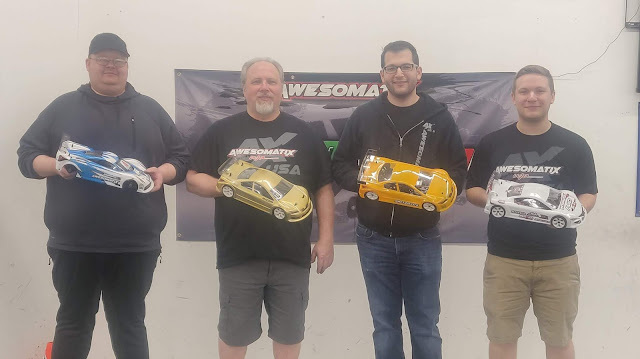 17.5 Touring would see Kyle Klingforth TQ by a lap over fellow Awesomatix drivers Sean Guthrie and Art Schrimo in third. In the main Kyle would control the from the start driving a heads up race through traffic. Behind Kyle, Sean was uncontested but Brent Klingforth and Art would mix it up for 1-2 minutes until Brent had some electrical troubles. Qualifying order would hold onto the podium - Kyle 1st, Sean 2nd, and Art 3rd. 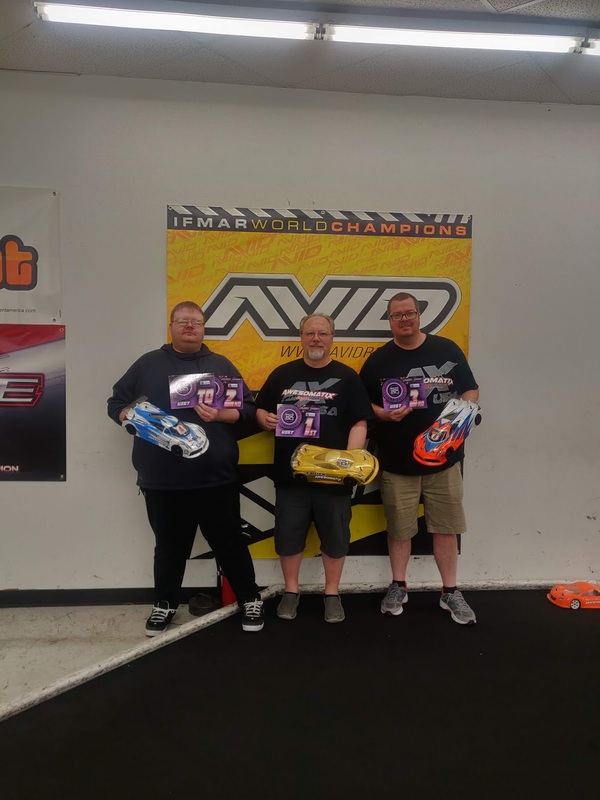 21.5 Touring would see the elder Klingforth take TQ over fellow Awesomatix drivers Bill Sydor and Layne. In the main Brent, Billy and Dustin would lead out the field. Billy and Brent would trade position and while passing lappers Billy would get caught up allowing Brent to pass. Billy was determined to get by Brent and the two sadly collided. As Brent fell out of the race as Layne took the lead and he would not give it up. 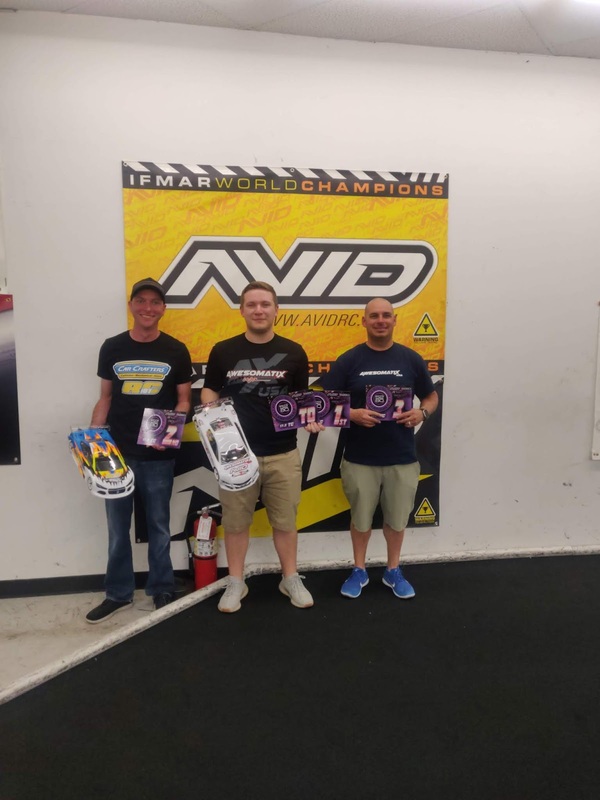 More stuff would happen, allowing Vinny Ringler to grab second and Jeff Flassig to capture the last step of the podium to continue the Awesomatix podium lock out. In USGT it would be Awesomatix driver Dustin Layne taking TQ over fellow Awesomatix drivers Brent Klingforth and Jeff Flassig in third. In the main Dustin and Brent would battle for the lead while working through traffic. Brent would get by Dustin early on and Dustin would return the favor in the middle of the race but with just 1m30s to go Dustin would tap allowing Brent to cruise home for the win. Dustin would finish 2nd and Jeff 3rd for an Awesomatix sweep of the podium. Thanks again to all of the Awesomatix drivers and team for making it out to the event. We really appreciate your continued support of racing around the country -- even if impeded by a blizzard! Cannot wait again for next years Mile High Indoor Champs! !